There are a bunch of really decent deals on flights to America at the moment, so if the following package isn’t exactly for you, try heading over to Tesco Compare or straight onto American Airlines where you will be able to find lots of different deals on return flights and Florida holidays. But we have picked out a pearl for you. This deal is brought to you as part of the Virgin holiday offers and includes flights baggage and if you fancy haggling could even land you with car hire. These fly from all over the country so after you have booked, take a look at our airport parking, and select the dates you plan to travel on. Everyone is familiar with what Orlando has to offer, apart from the parks of Disney and Universal studios you have beautiful beaches, great tours across alligator country and the Kennedy space centre. If you have been thinking of taking the kids to Disney world, then a villa is always a great choice, plenty of room and pools will mean you are never bored when you’re not at the parks. Overall a great holiday venue, take advantage of these great deals that are being passed around a majority of the different agents. This week, we have brought you a great deal for you and 5 of your closest for a week, self catering just outside the lively Playa Blanca in a villa with your own private pool. This deal is brought to you by Cosmos.co.uk and has quite specific dates, so if you want to get away from the 24th of April to the 1st of May then this deal is for you. This one is flying from Leeds, it just so happens we have some great airport parking listings in Leeds. Playa Blanca is the southernmost town on Lanzarote, and is the newest of the resort towns on the island making it an enjoyable beach venue with plenty of restaurants and a place to just get away. If you do want to get out of the Villa and have a look around, car hire is essential and we have a list of companies that can provide car hire from £68.79 for the week. Relax in your own private pool for a week or hit the beach, just a short drive or a medium length walk down with the glorious white sands that Lanzarote is great for. This great deal spans over a number of apartments so there are a few going. Happy Valentines everybody, we have another great deal for you this week so perhaps, if you’ve forgotten the roses, you could just pick up one of these holidays to surprise your loved one with. Brought to you by Groupon this week, this deal is for a conveniently placed hotel situated right in the city centre among all the Milanese boutiques, historic landmarks and superb Italian cuisine. Once you’ve booked the holiday, make sure to get your airport parking all booked up. 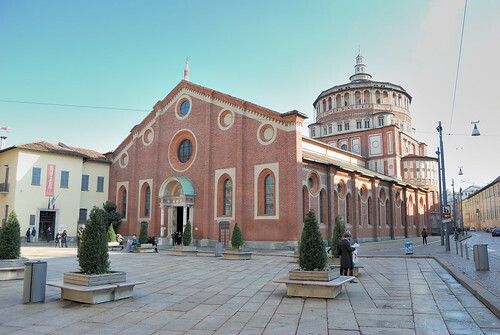 Milan is perfect for sightseeing, shopping and taking in the glorious artwork in the galleries and across the historic locations, most notably the Last Supper by Leonardo Da Vinci located in the church Santa Maria della Grazie. A painting that has so much history behind it should be a must do activity for any visit. Visit the third largest church in the world, the Duomo of Milan, it took 500 years to complete and is home to 3,500 statues, plenty to see whilst you are visiting. And one of our personal favourite days out in Milan is spent at the Castello Sforzesco, if you like museums then this is the place with 12 mini museums and archives housed in this 15th century castle. With armour weapons, Egyptian artefacts and instruments so there is at least a section to everyones tastes and at €3 entry per person, it is one of the inexpensive activities in the city. So rub shoulders with the high class and enjoy a stay in a great value hotel, bookable on a number of dates all the way through to summer. Brought to you from Holiday Hypermarket, this is holiday that benefits from an extra discount. The trip departs on 20th of February from Manchester Airport and returns on the 28th. Once you’ve booked the holiday, why not go that extra mile and stay in the Manchester Airport Lounge. 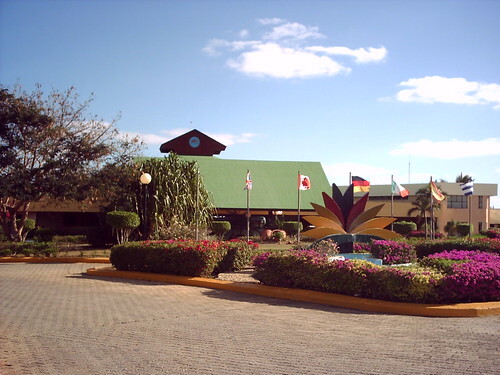 The hotel is a great combination of comfort and excellent facilities, with award winning entertainment throughout the day and night suitable for all ages. The pools are impressive and great for lounging around, but with the beach just a stones throw away, you are never short of places to relax in. The hotel itself benefits from 6 restaurants and 9 bars, all serving food and snacks 24 hours a day. Plenty of sports and leisure activities come free with the opportunity and you can relax in the gym, sauna or brand new whirlpool. A stunning offer, so if you just so happen to have that week off of work or need to get away, then this deal is perfect for you. We have a cracker of a FRIDeal for you this week, with a 7 night trip to Jordan with a number of excursions and a stay in two separate hotels. This really is a great experience and at this price, cannot be ignored. Sign up is required to the travel zoo and the holiday itself is from British Travel Award winners, The Holiday Place. The package includes all the flights and transfers from Gatwick (so if you need Gatwick airport parking you know where to look). All this in the first 5 days where you will have enjoyed the sights and sounds that Jordan has to offer you. Then you will travel to the second destination, Petra, a UNESCO world heritage site and is often described as one of the most breathtaking and stunning places in the world. 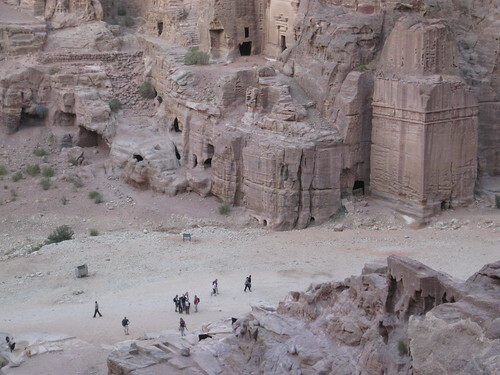 Where you can see all the ancient tombs temples and houses carved into the side of the mountain. A truly spectacular site. And all of this for £699 is an amazing deal! But be quick, we don’t expect this deal to stay around for too long. Here at GoSimply, we aim to make things easier for you and save you money, so we thought we would go that step further and scour the web to find the very best deal we could find to ignite a little passion and stir up your senses and inspire you to book that dream holiday at a bargain price. With highs of around 20 degrees, Portugal boasts some great summer sun. The hotel itself is a small but charming hotel in the peaceful town of Santa Cruz offering all the necessities you need to make that quick escape. For a 3 star hotel, the views and rooms exceed expectations as shown in the Trip Advisor reviews. But be quick, once it’s gone, it’s gone. Flying from Luton airport, you can find the cheapest Luton Airport Parking right here at GoSimply. So Simply put, what’s stopping you?